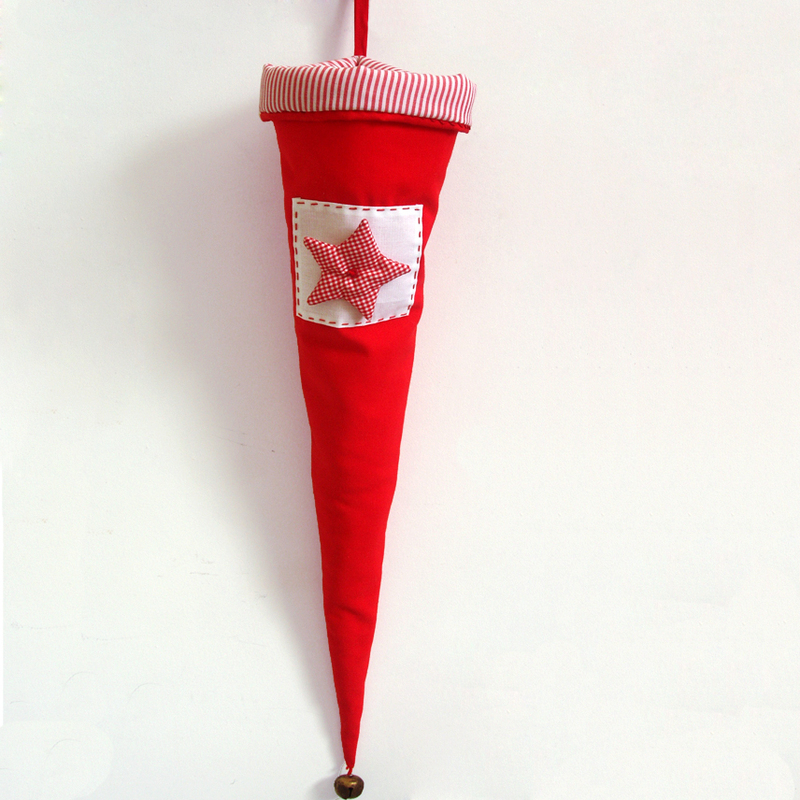 Medium, fabric cone, decorated with handmade stitches and a heart, in red hues and a bell at the bottom. It’s a perfect decoration filled with small presents and candies. Note: The red girls do not included with the item.